Koinonein | TO THE DEV ONLY!!! TO THE DEV ONLY!! !Home » Topics » BitTorrent Client Help » TO THE DEV ONLY!!! This topic contains 2 replies, has 2 voices, and was last updated by Koinonein 1 year, 10 months ago. 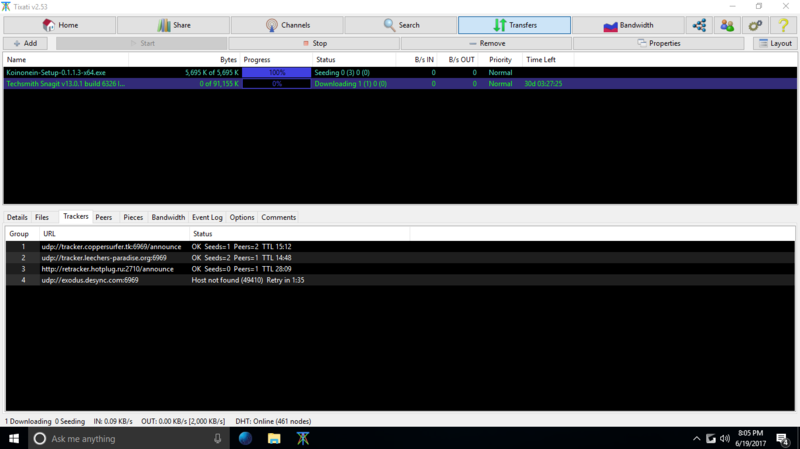 We use it because it was on a list of working stable trackers and it’s a tracker added to all torrents on a major torrent site. When we say ‘use’ we are not using it or recommending it it’s just there on the default tracker list for you to use if you want to. You can delete that tracker from Tab > Trackers > Add Tracker or Tab > Trackers > Tracker Manager and you’ll not see it again. How Koinonen deals with trackers is there is a default list of 9 trackers then when you add a .torrent file you’ll get the dialog showing you the files and trackers and in the trackers tab you’ll see some trackers checked and other not checked, the ones checked are the ones already on the torrent file and the unchecked ones are your Saved Tracker List and if your Saved Tracker List has a tracker already on the torrent it won’t show on the list as the list does not allow duplicates. Whenever you add a tracker to any torrent or when you create a torrent and add a tracker that tracker is saved to your Saved Tracker List for future use but won’t ever be added automatically to anything. Koinonein is reporting that tracker as working because it is working, perhaps Tixati has different timeout settings, you can see your settings in Tab > Trackers > Tracker Manager. You know Koinonein was not initially going to support trackers at all as they really are redundant and there are better ways to mange private torrents but trackers are like vinyl records and aren’t going anywhere so I think we will remove the default list and set up our own tracker. anything on your list in addition to that is trackers you’ve added yourself at some point. 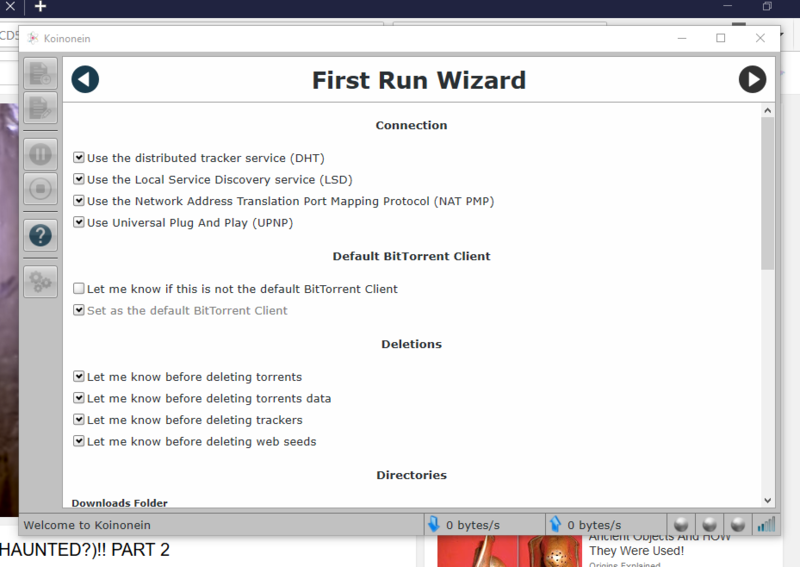 “Set as the default BitTorrent Client” is disabled in your picture because Koinonein is already set as the default client, Koinonein checks before the settings dialog/first run wizard is show so you can’t set it as default because it already is. If Koinonein is not set as the default application for .torrent files and magnet links then this option can be checked.